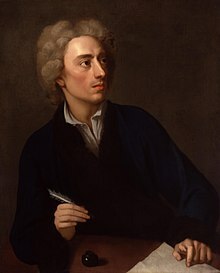 English poet of the eighteenth century. "Verbatim from Boileau" An argosy of fables, 1921. "Pope, Alexander (1688-1744)," in Dictionary of National Biography, London: Smith, Elder, & Co., (1885–1900) in 63 vols.